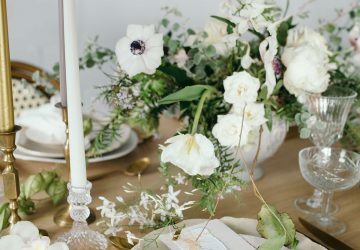 What you need for your wedding guest book table (and some nice extras)! 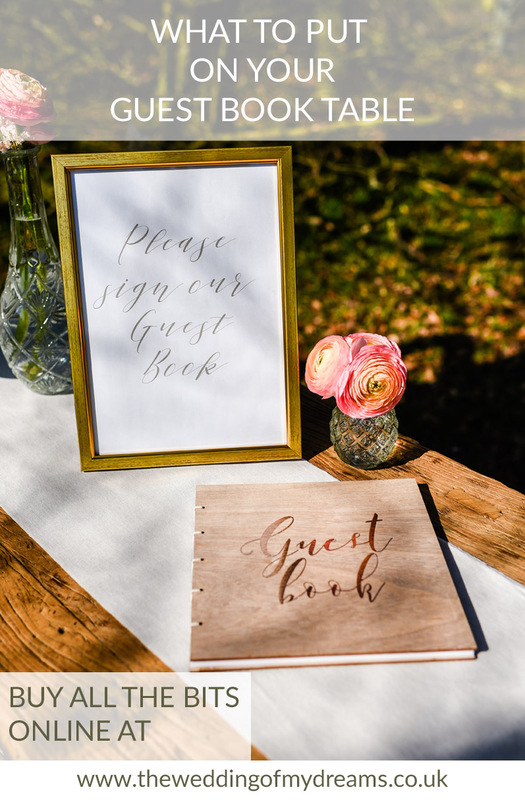 Having a guest book at your wedding really is a lovely touch, you will find one at almost every wedding, whether it is a traditional book for your guests to sign or something more quirky such as a jigsaw puzzle or jenga game and you ask guests to sign a piece. 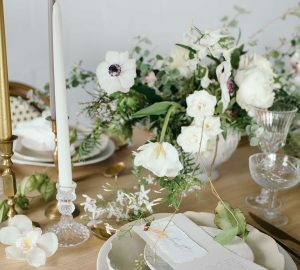 Apart from the guest book what else do you actually need to put on the table and what else can you add for extra pretty touches. 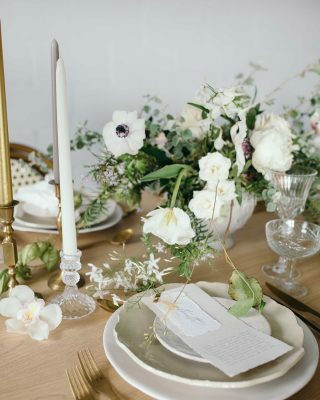 We have made a guest book table checklist so you don’t forget anything important. 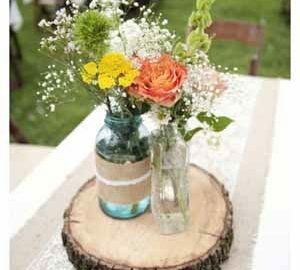 Table runner or table cloth – we have loads for sale for almost all wedding styles. See our table runners here. Guest book of your choice. See our full range of wedding guest books here. 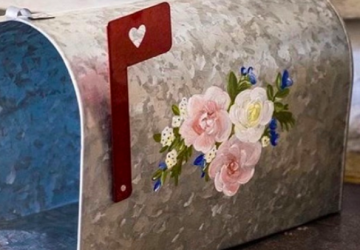 Our favourites include our wooden guest book or guest book with envelopes for guests to add photos. A sign for your guest book table and a frame for the sign to go in, or mini easel to prop your sign up. 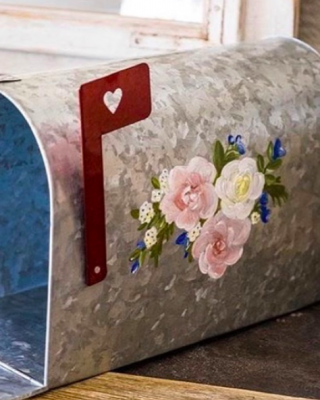 Pens and a pen holder for your guests to write their messages. 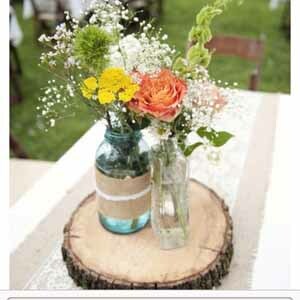 For pen holders votives and small vases can look pretty. A vase of flowers is also a must for your guest book table, not only will it look pretty but the scent will be lovely as guests lean over to write in the book. 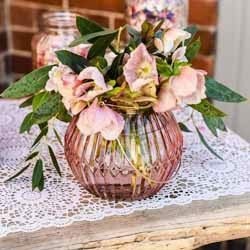 We suggest using a vases that is in keeping with your wedding style, so a pretty pressed glass vase if that is what you are using elsewhere around your venue or a more rustic container such as a milk churn if that is more your style. Polaroid camera, this is an added extra but becoming more and more popular. Leave a polaroid camera and lots of film for your guests to take photos of themselves and stick it into the book next to their messages. This really makes the guest book a lovely keepsake.